Golf betting can be a frustrating endeavour. The same goes for all gambling, I guess, but picking the winner in a six-horse race is infinitely easier than picking the winner in a 156-strong tournament field. As such, wins are often few and far between and it’s the each-way bread and butter that keeps a punter ticking over week-to-week, with occasional wins being very much the icing on the cake. It can be particularly difficult to pick the right man early in the season, as form lines are yet to be established, and many of the big names are shaking off their cobwebs for the first time in weeks. Nevertheless, at last week’s PGA Tour Desert Classic, I very much fancied that I’d spied a diamond in the semi-rough. Adam Hadwin has become something of a specialist around La Quinta’s three courses. Solo second place in 2017, was sandwiched by a tie for sixth in 2016 and a tie for third last year, traversing the par-72 Stadium Course layout in 59 strokes in the third round in 2017. This was just the ninth sub-60 score in PGA Tour history, and just the fourth to card a magical -13. 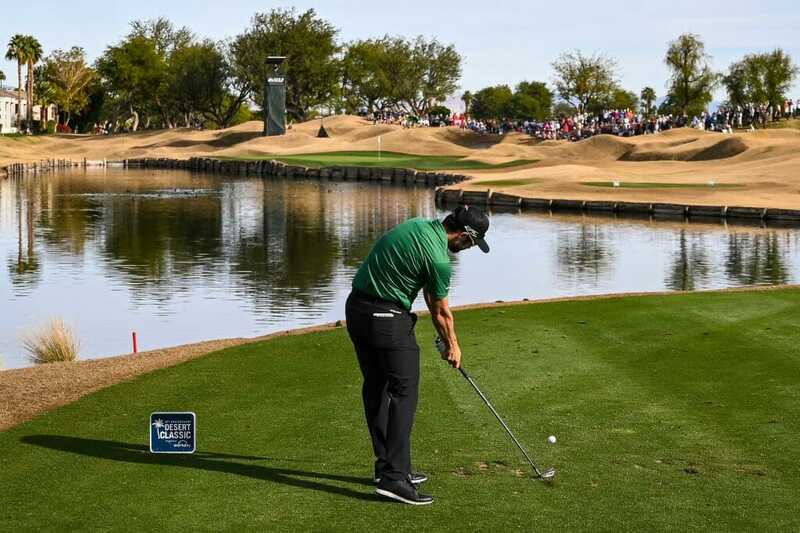 25/1 seemed a more than fair price for the diminutive Canadian who secured his first PGA Tour win at the 2017 Valspar Championship, and with a pair of 65s and a 66 around the Stadium, Nicklaus and Country Club courses respectively, Hadwin was a combined 20-under for three rounds. There was one major problem, however. Phil Mickelson opened with 60, 68 and 66 to lead Hadwin by two at the 54-hole mark. Making up the final three ball with Mickelson and Hadwin was a 32-year-old Duke graduate called Adam Long. World number 417, and a 500/1 shot going into the week, to describe the New Orleans native as something of a journeyman may have been generous, with Long’s sole professional victory coming eight years ago on the long defunct Hooters Tour. Making just his sixth PGA Tour start, and with just one cut made, Long was not just the underdog in the group, he may as well have been the invisible man. As a future hall of famer and one of golf’s most marketable stars, Mickelson was always going to be the crowd favourite, but Hadwin’s past relationship with La Qiunta (and a strong Canadian following) meant there was no shortage of well-wishers amongst the gallery. As a veteran of golf betting and Murphy’s Law, I should have seen it coming. The expected implosion from Long never materialised. Instead, on the biggest day of his career, Long opened with birdies at one and two and never looked back. With Hadwin five-under, and Mickelson three-under, Long’s six-under total through 17 saw the final trio tied for the lead going up 18. Long, playing first, was faced with 171 yards off a downhill lie in the right rough with the pin back left, and dangerously close to the water. Missing left could mean a watery grave, a likely fourth place finish, and about $280,000 in prize money. Instead, Long took it straight at the flag, and sunk a 13-foot putt for over a million dollars, a two year PGA Tour exemption, and an invite to Augusta National in ten weeks. Hadwin? A tie for second, and each-way money for me. Ah well, you win some, you lose a hell of a lot more. Roll on next week.